I've worked a lot on craft swaps for the last couple of weeks. 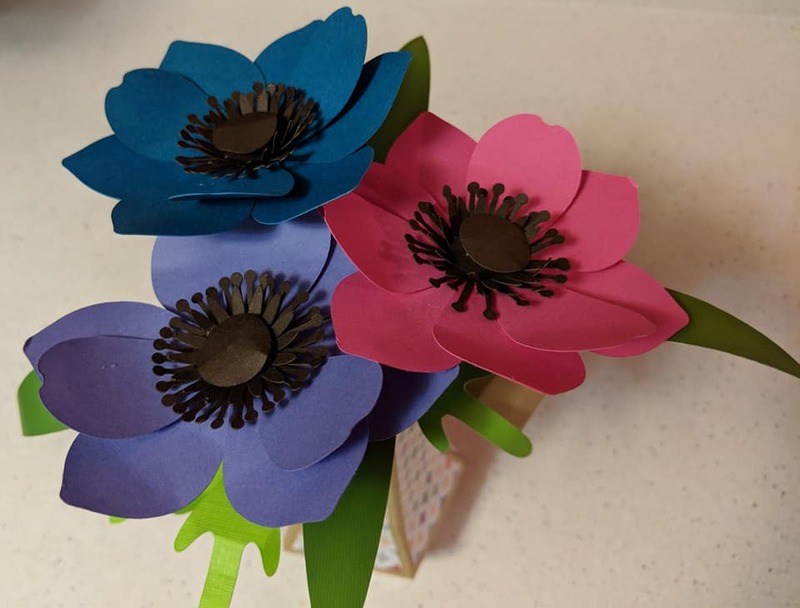 That's introducing me to some awesome crafters and leading me to learning some new crafting techniques and some different types of paper crafts. This is a flipbook. 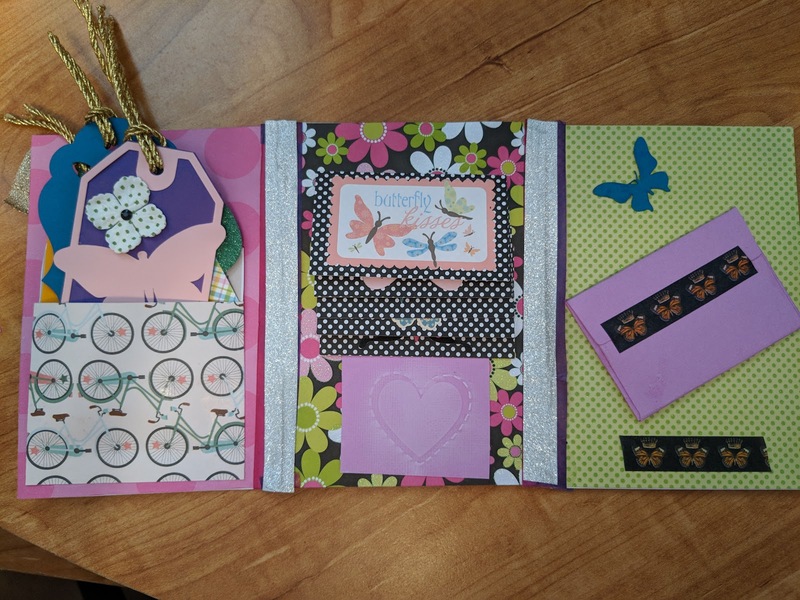 The book is made completely via paper and washi tape. 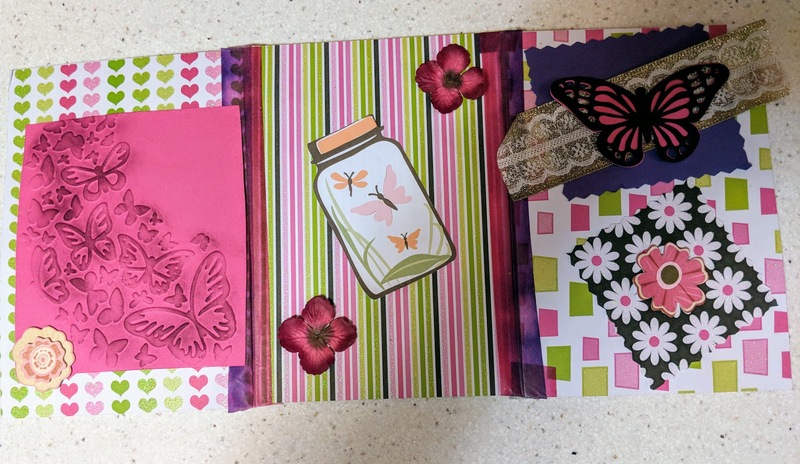 The black and white cards in the center flip up with what has been called a waterfall effect. 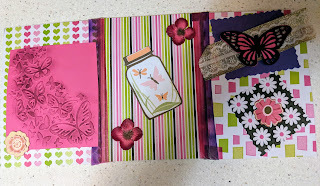 Each card has a different image related to butterflies. 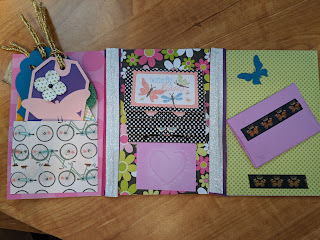 I used my little Sizzix embossing machine to emboss the butterflies on the back of the card. I used a Q-tip to rub ink onto the butterflies to make them stand out more. 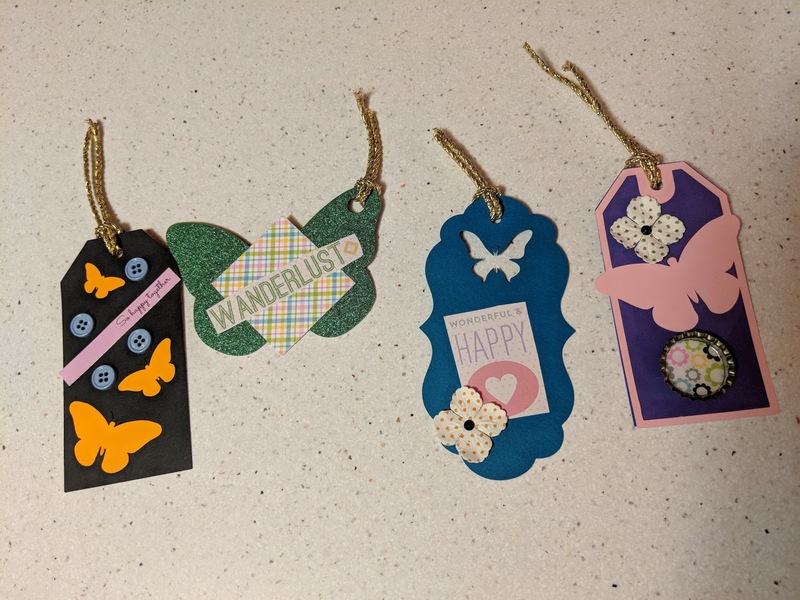 I filled the booklet full of little goodies like these handmade tags. I used my Cricut to cut out the tags. Then, I added some embellishments to gussy it up. One thing this group is teaching me is that embellishments are everything. I also added some other goodies to the booklet. The idea is to give your swap partner some goodies that they can use in future projects. 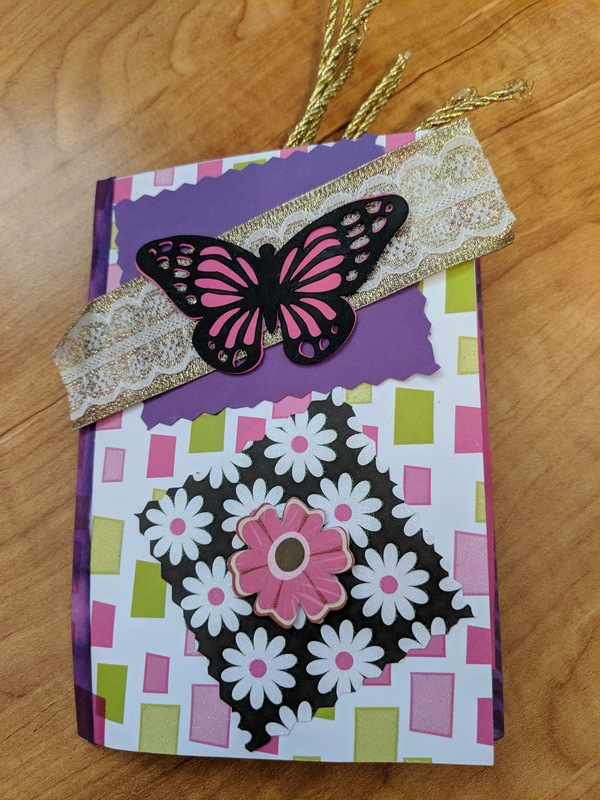 I included some bits of printed cardstock, a bit of embossed paper, tons of tiny butterflies, which I cut using a butterfly punch, and some small flowers. This is my second pocket letter card. My theme was alien invasion. This black background is a thick shiny piece of cardstock. It's gorgeous, but it was a nightmare to cut. I killed the blade in my paper cutter with it and I'm pretty sure I dulled the blade in my Cricut as well. I finally ended up using scissors to cut off the edges. The end result is that the paper isn't exactly the same size in every pocket, but I did the best I could. 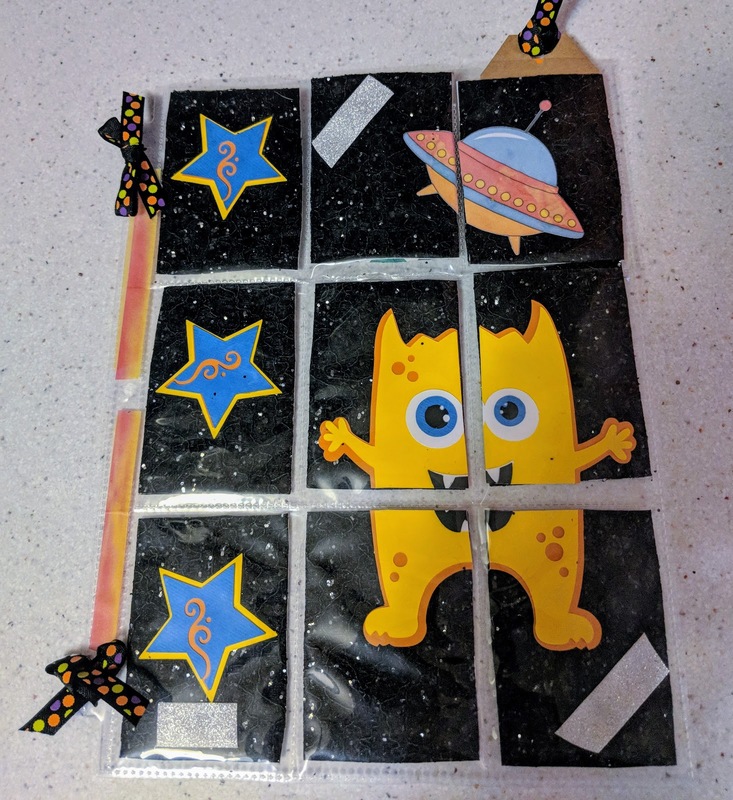 I downloaded the little monster from Printable Cuttable Creatables. I filled the back of the pockets mostly with little embellishments, such as stars, buttons, etc. 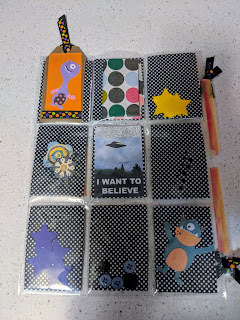 I added a few decorative elements, such as a quote from X-files and a couple of additional monsters, which came from a Cricut cartridge. 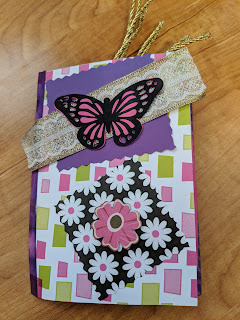 Now that I've received a couple of pocket letters from other group members, I know I need to work on upping my embellishment stash and my embellishment-making skills.